Thank you but for me the point isn't to win or to convince you, I love doing mythological historical research, it was my passion LONG before TFA and will be long after.. I happen to love the genre of science fiction because science fiction is imbued with myth, religion, metaphysics and philosophy...So don't be convinced by me and please continue to post, I love your fairy tale comparisons..the reasons you see similarities there is because they are universal archetypes, see Jung & Campbell... When we discover these archetypes we truly discover ourselves, because these things are inside each and everyone of us. That is why Luke see's himself in the Dagobah cave... it is a metaphor for each and everyone of us, heroes in our own stories to discover our subconscious selves. 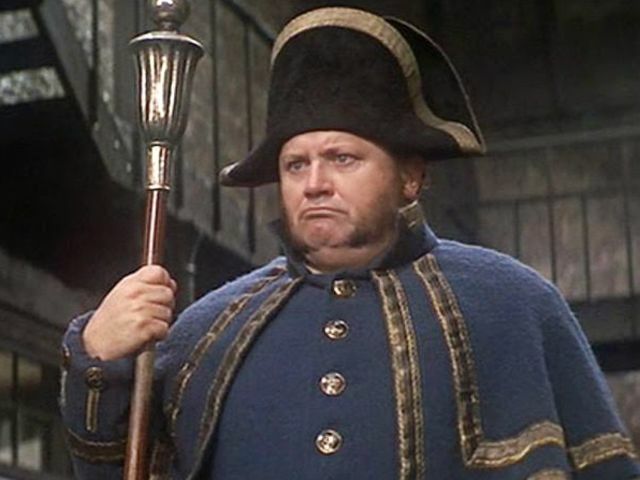 @spacebaby45678 wrote: Maybe Unkar is a palace servent and that is the reason he has a POSH accent, did that ever occur to anyone? 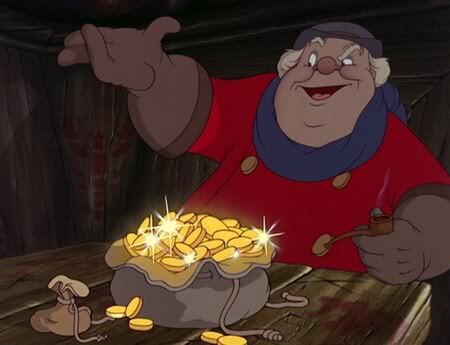 Unkar still looks like the woodsman from Disney's snow white to me, he is a monstrous version. spacebaby45678"]Maybe Unkar is a palace servent and that is the reason he has a POSH accent, did that ever occur to anyone?" Yeah. I've thought about that after I read the novelization. Plutt could have just wanted to get the MF again but instead he wanted to have Rey come back with him on Jakku and even threatened to make her provide entertainment for the galaxy. 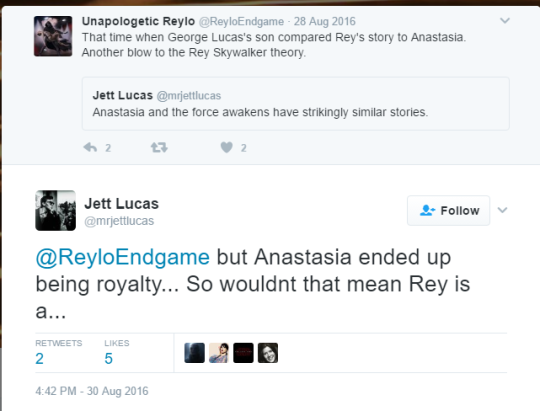 Jett Lucas, George Lucas son has implied that Rey is royalty. I think that while some fans are pissed at GL for the PT, I think there are many at LF very loyal to him and his vision of what the Saga is about. I don't want the context to get lost. 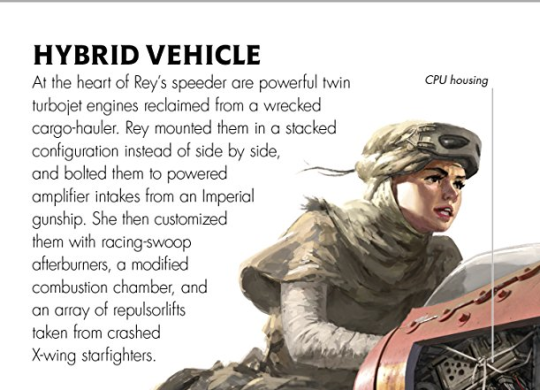 Kira ( Rey ) being a mixed race character is in The Force Awakens concept art book. Pablo has confirmed that the casting was open to all ethnicities. OMG! Could be... I never thought of that myself... Yes, half Mando....Hybrid is suggesting some one of two cultures. There are clues to be found here. We are not in the dark waiting for Random Scavenger Space Goddess's story . - Duchess Satine belonged to a faction of peaceful Mandalorians that took over in recent Mandalorian history and the warriors were banished to Concordia. - The Vizsla and Kryze families are different....force sensitivity runs in the Vizsla clan, via Tor Vizsla. If we're looking for old royal and noble bloodlines, then Count Dooku's family would be the highest probability since they are old royals and the rulers of Serenno. 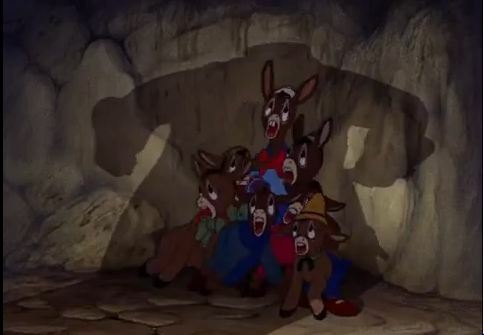 -A family massacre took place in the EU, wiping most of the family. - Force sensitivity exists in that family itself. Also, Dooku was first a jedi and then a sith....so again a lineage of light and dark like the Skywalkers. The second one is Palpatine who belonged to a noble house on Naboo....Naboo's rulers were elected but Palpatine would still be of noble blood and royal by virtue of being Emperor. - Again, a family massacre happened when Palpatine killed most of his family when he turned sith- not sure if it is canon or EU though. - Again explains Rey's accent. - Again force sensitivity exists in the bloodline. The Anakin/Vader and Palpatine dynamics have been a huge part of the PT and OT.....it would be interesting to see their descendants put things right in the galaxy after those two caused so much trouble. Ederlathh is Palpatine's grand niece in the EU, a young girl who survived the family massacre and was supposed to unite the new Republic and Imperial remnants as the Empress of a constitutional monarchy...but some former imperials sabotaged the plan. It is interesting PH would bring her name up. 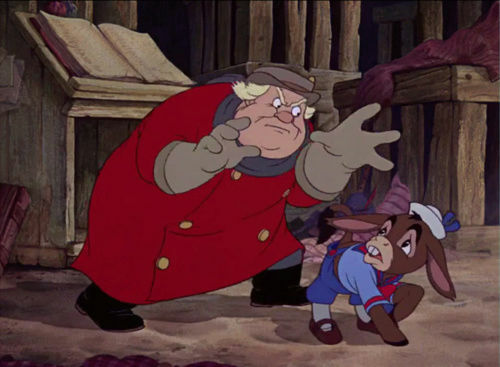 Hence, the Anastasia analogy fits better for a Dooku or Palpatine descendant. In TCW she has a palace and a throne because this is where Royalty hangs out... Satine is obviously a Duchess on her home planet and he father is Duke Adonai a Hebrew name for God. The Kalevala or The Kalewala (/ˌkɑːləˈvɑːlə/; Finnish: [ˈkɑle̞ʋɑlɑ]) is a 19th-century work of epic poetry compiled by Elias Lönnrot from Karelian and Finnish oral folklore and mythology. Now what is weird is that in Imperial Commandos Sabine refers to the Throne of Mandalore sending young people from different clans to be peace keepers... this Throne exists despite Sabine having the Dark Saber in her possession. How does this work? I am not sure honestly. I think I want to watch the rest of this seasons Rebels to figure out what is really going on and how LF is deciding to tell this story. Because of politics & political correctness, I really doubt if they would have cast a mixed race/ethnic actress to be a Palpatine descendant..It would not happen... GL received so much flack back in the 70's for Darth Vader's voice being acted by James Earl Jones that he actually created the character of Lando Calarissian.. ...It is my personal opinion that this something LF & Disney would not do even if the Palpatine descendant turned out to be the "heroine" protagonist. Dooku is just not important enough in the Saga to give him an actual bio descendant, it literally has no narrative punch. Could you please post the link where Dave Filoni refers to Satine as royalty? I would be interested in reading about it. Also, the Throne of Mandalore could be like the Throne of Naboo.....it isn't an inherited title, though each ruler sat on a throne and lived in a palace (Eg: Padme Amidala was considered a royal but she came from a commoner background so even if Satine was royal, it doesn't automatically imply royalty is hereditary). The throne of Naboo passed from ruler to ruler by an election.....the Throne of Mandalore passed by the leadership duel. Satine was an exception because of the circumstances- Mandalore went through a civil war and some moderates wanted to end it.....but it isnt a throne that normally passes down a particular bloodline....that is why Sabine is using the darksaber to unite the clans under her leadership. @spacebaby45678 wrote: Because of politics & political correctness, I really doubt if they would have cast a mixed race/ethnic actress to be a Palpatine descendant..It would not happen... GL received so much flack back in the 70's for Darth Vader's voice being acted by James Earl Jones that he actually created the character of Lando Calarissian.. ...It is my personal opinion that this something LF & Disney would not do even if the Palpatine descendant turned out to be the "heroine" protagonist. As for political correctness, please take this from a non-white person....there is nothing offensive in the heroine coming from a dark lineage and being mixed race or even non-white....Palps and Dooku were some of the cooler characters of SW and mindsets have changed a lot from the '70s....as for Dooku's lack of importance, I disagree.... He was portrayed by an acting legend and was an important figure in the Clone Wars....In SW Propaganda by PH, he had been called the most important and well known jedi. That being said, PH has confirmed that Rey's parents are white....so this whole mixed race issue is a non-issue anyway. Also, the Throne of Mandalore could be like the Throne of Naboo.....it isn't an inherited title, though each ruler sat on a throne and lived in a palace (Eg: Padme Amidala). Don't ask what is possible, lots of things are possible, but what would George Lucas do? LF is very loyal to George's vision, and there is a history for Kira going back to George and Arndt before the sale to Disney. Pablo can say it over and over again... George left the story of a girl seeking to become a jedi.. Things happen in context, there a character already created that character could have been mixed race black person, concept art was created for this mixed race character. Take this from a mixed race American person who is inside the belly of the beast so to say, Mixed race and or Asian Palpatine descendant would not have even been considered. Talk about controversy.... Just think of the flack they have received for the Finn Jedi fake out, and that one is still hovering. Black and Asian Imperials are a NEW thing, think about that.. at one point they did not exist. There are two types of lineages Bio & Master/Teacher... Dooku is very important in the line of Jedi as his Padawan was Qui Gon.. that is his legacy. I completely agree that GL's vision of a girl's jounrey to becoming a jedi is going to be followed...however..
1. 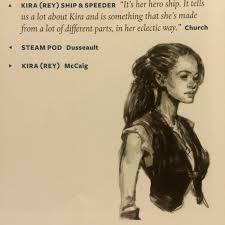 Kira is the name of the palace in Onderon in the EU....Kira Carsen is also the name of a girl of dark lineage in the EU who has a near identical background to Rey and her journey to becoming a jedi (and uses a double bladed lightsaber).....so the name Kira could be inspired by any of these. 2. Kira wasn't the only name used for Rey...so was Snow.....Snow Hair is the name of an EU character named Jarael, once again a girl with a similar background to Rey (and carried a staff as a weapon) who helps a fallen padawan falsely accused of killing his fellow padawans clear his name. Were all these characters already a part of the GFFA? Yes. So they would be much more in line with GL's vision than poetic parallels. One more thing- SW is a global phenomenon now....so an American perspective might be important but its not the only one....that being said, PH has confirmed Reys parents are white.....so this whole mix-race casting is now a non-issue....and remember this mixed race girl was in an early draft....a lot changed since then and ethnicity wasn't a factor in casting (as confirmed by PH on twitter)or DR wouldn't be eligible for the role.....image the scandal of a white girl playing a mixed race or Asian girl? Whitewashing of roles is a much bigger controversy than non-whites playing dark lineage characters. The big example- In Doctor Strange, people objected to a white character playing the Ancient One (who was Asian in the comics) but they didn't object to the part of Baron Mordo being played by a black actor (though Mordo is Dr. Stranger's main antagonist and was white in the comics). Also, Dooku's lineage traces back to Yoda and they shared a force bond.....Dooku also tried to spare Obi-wan and turn him to the dark side, against Palpatine's orders to kill him because of his affection for Qui Gon (whose death caused Dooku to turn to the dark side)....so Dooku's legacy is much more than merely Qui Gon's lost master. Going by your logic, Obi-wan's legacy ended with Anakin too and goes no further. 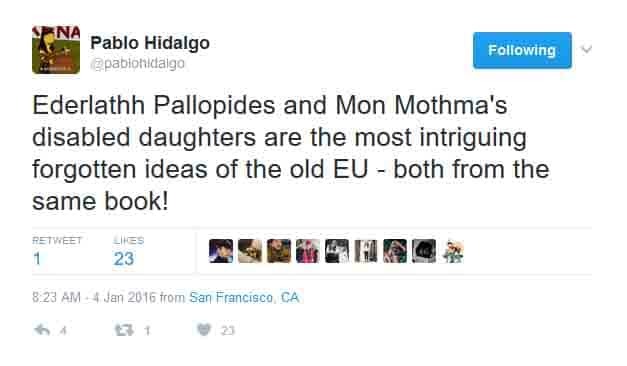 That's a very interesting tweet by Pablo.I would love if they brought Palpatine's grand niece into canon .Life Debt did allude to Palpatine possibly having family so it would be very interesting if Rey turns out to be the daughter of Ederlatt Pallopides. Now that Darth Plaugues novel is no longer canon they can create a completly different story for Palaptine and his family. Is Kira the name given by George? 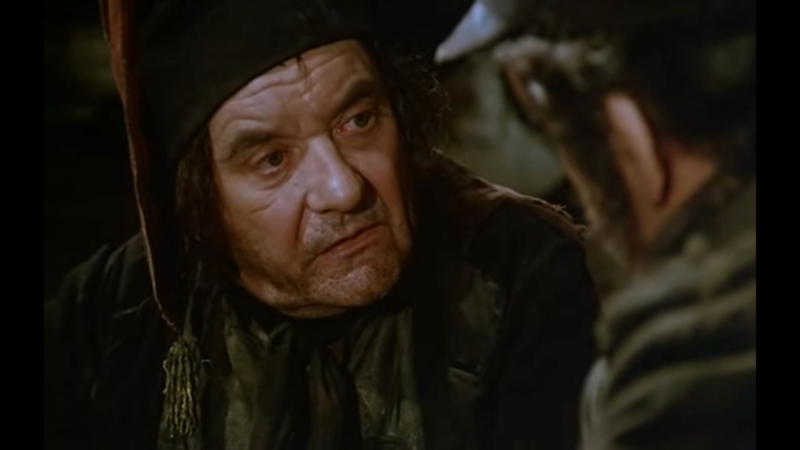 How much of the eu does George care about/know about? @Gemini wrote: Is Kira the name given by George? How much of the eu does George care about/know about? We can never say for certain which names GL came up with himself....but GL did indeed pick up things from the EU that he liked....an example I know for certain is the character of Asajj Ventress who appeared in comics and GL read about, liked and adapted into canon..... similarlly, "Kira" and "Snow" could be code names for a character with a similar background to certain EU characters. The very fact that both Kira Carsen and Jarael (Snow Hair) have near identical backgrounds and story arcs resembling that of Rey says a lot.....even their costumes and weapons are similar.....not to mention Jarael's LI being a padawan accused of killing fellow padawans.....and Kira's LI being a jedi who spends some time on the dark side and returns to become her master..... there are too many similarities between these two characters and Rey to just shun the possibility. As for Rey being an Anastasia and a ruler, I definitely see it as a possibility....but as I mentioned before- Dooku's family title is hereditary. Mandalore and Naboo are not in canon and in the EU....Naboo by election and Mandalore by leadership duel. Palpatine belongs to a noble family on Naboo and while he is not a Naboo royal, he became Emperor and on his death, his descendants would inherit the title....so if she is a royal, being a descendant of Dooku and Palpatine makes more sense. And strong force sensitivity is also confirmed in both their bloodlines as well. I actually do think they probably scoured the EU material too. 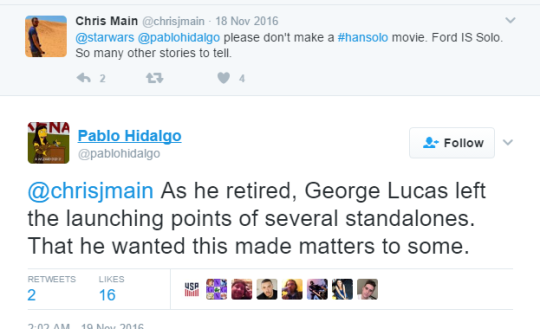 (Lucasfilm I mean) I'm not so sure George did though....like you said no one knows. As a movie maker, you look over as much material as possible for reference, they have a whole team for researching and i don't doubt that they looked for matching characters in the eu to base characters around or expand on characters. I completely agree that Kira could mean light....but I am reading two more factos along with it.... that the other name used in those scripts was "Snow" and the fact that they might be playing on old fan's nostalgia by borrowing elements from a couple of EU characters to create a canon character....one just needs to look at the stories of these characters and their costumes, LIs, weapons etc to know how much has been borrowed. I agree btw that they probably did seek eu for some inspiration for rey/character building. Snow means pure and fair etc again Like light? Kira was the name they used in the post-Lucas brainstorming era, so what if the name came first, and then, during brainstorming, came everything associated with the name? The double meaning of ruler/light, the Egyptian mythology, and so on. Even the EU associations. Perhaps this is how they came up with the royal angle (assuming Rey is royalty). Perhaps someone mentioned that the name Kira has already been used in the EU and was actually the name of a royal house (the family, not a palace) that was of an ancient Dark Side lineage. Maybe someone was intrigued and ran with that idea. Who can tell? And George definitely did look at EU material too, because he was going to recycle an EU character, Darth Talon. Lmao Thea literally means "goddess of light" and Olympian god royalty. @Gemini wrote: Lmao Thea literally means "goddess of light" and Olympian god royalty. Actually the word Theia/Thea means just goddess, or (feminine) divine. But you're right, the mythological figure named Theia does have associations with light as she's supposed to be the mother of the sun and moon. 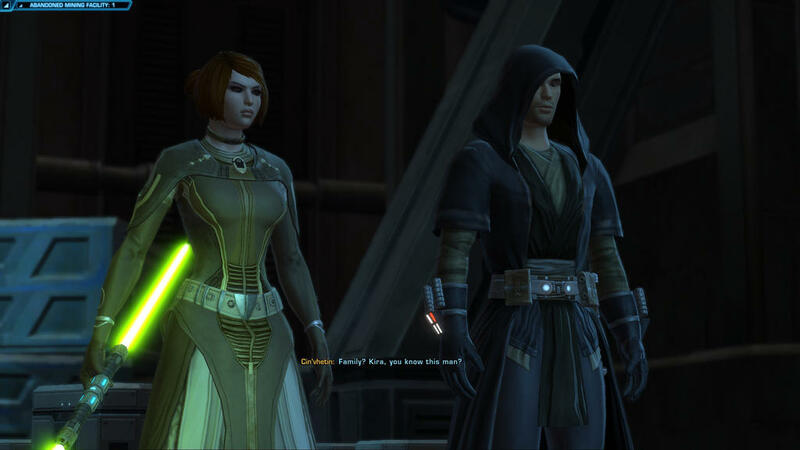 I mentioned the Onderon connection a few posts back....I thought it was the name of the palace...but yes, it could refer to a royal lineage and make EU fans happy that something else is canon. I'm not trying to diminish her own journey in this trilogy......but maybe the name 'Thea' foreshadowed her eventually being the mother of the next Skywalker generation since they are normally associated with the sun? I actually don't think they'd bring the House of Kira back to canon - or I don't know. It's weird. If they took any inspiration from EU materials, it would be easier just to rewrite the whole thing and come up with an entirely new story with an entirely new planet and new characters. But there's no denying that Dubrovnik has a lot of similarities with Onderon. But then, so did Jedha and it turned out to have nothing to do with Onderon... whether it has anything to do with Dubrovnik remains to be seen.